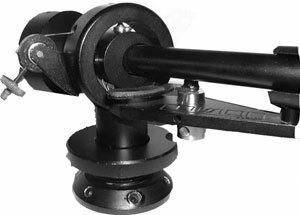 The 774SM was Mission's top of the range arm before it's final development into the legendary Mechanic tonearm. Manufactured by GB Tools that also made the Zeta tonearm, the 774SM features a large diameter arm tube with bonded alloy headshell, suspended from a high mass gimbal assembly with low friction bearings. Anti-skate bias adjustment is via a thread and weight. Mission 774SM / 774 SM owners manual, service manuals and schematics are for reference only and the Vinyl Engine bears no responsibility for errors or other inaccuracies. The PDF files are provided under strict licence. Reproduction without prior permission or for financial gain is strictly prohibited. This website is not affiliated with or sponsored by Mission.